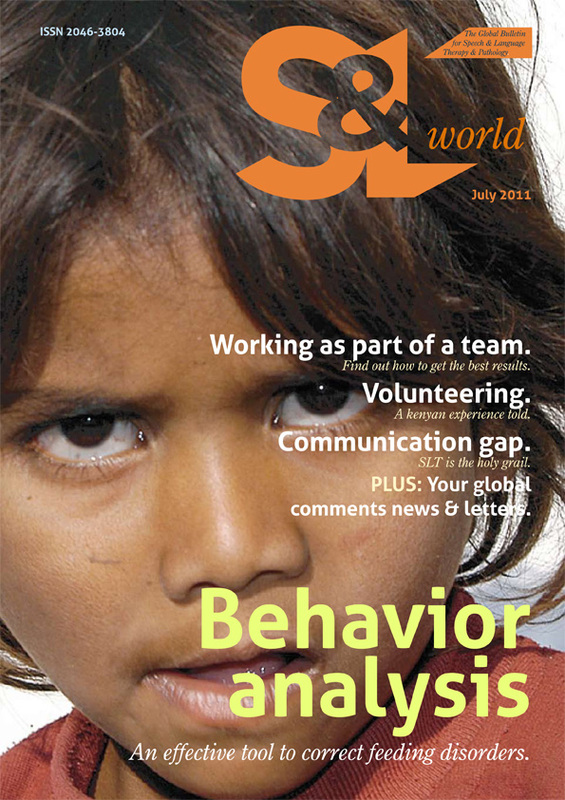 Smart Talkers:Talking about children's communication from Small Talk SLT: SL World: The global bulletin for SLT/SLPs: issue 3 out now! SL World: The global bulletin for SLT/SLPs: issue 3 out now! As for most mothers who work, it's been very hectic trying to manage a business with the school holidays so I haven't had the time to tell people about the latest edition of the on-line magazine. It's the third publication of the magazine by and for speech and language professionals across the world. Bea Staley who is working in Kenya sent in a lovely account of what it's like to be a volunteer in the country. She wrote from the heart and apologised for it being too long. It was so interesting, however, I couldn't possibly cut it. If you read it you'll see what I mean. I think many of us would love to do something similar but are hindered by the restraints of family life ... for now. There's a great article by Ben Zimmerman, for whom I have a great deal of respect for his work with feeding. He's written about behavioural analysis of the problems. Also on the feeding theme, Jodie Corbett has written about her work with Vitalstim. I was interested to read this as Sumathi Sinnapan, a friend of mine living in Stafford is the only British therapist I know who is qualified and licensed to use the technique here. She has an uphill struggle to persuade the UK powers that be that it's a technique that works but Jodie's article makes it seem the right way forwards for many. There are inspiring pieces by Eric Raj who likens SLT/SLP to ninjas.... (yes, it does make sense when you read it! ), Stephanie Staples on team work, useful techniques from Craig Selinger, multi-cultural working in Holland, a SLaC special from Mary MountStephens and a celebration of 50 years in the profession for Franky Shepperson. Plus news from all over. If you have anything you would like considering for inclusion for the October magazine please let me know. Human communication is the most fascinating subject possible and how we can help when things go wrong needs to be shared as widely as possible.